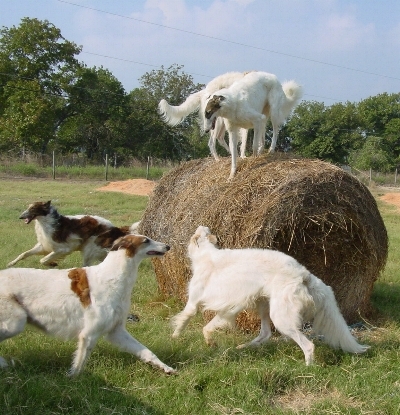 Shefaro Borzoi are Farm Dogs First! 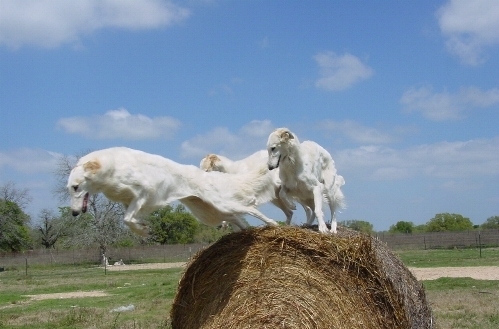 At Shefaro Borzoi what matters most are temperament and character. 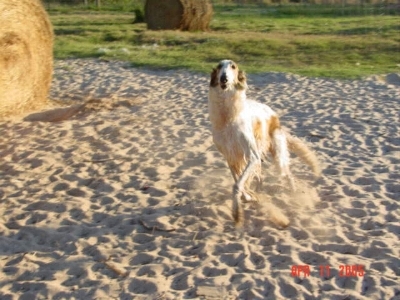 While outstanding conformation is produced, it is the character of Shefaro Borzoi that shines through. 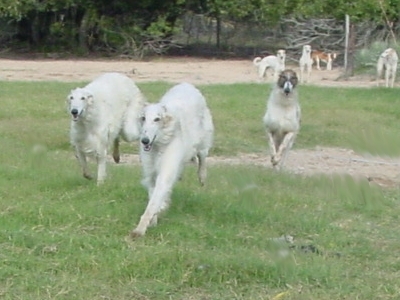 Not all Shefaro Borzoi are sold to show homes - in fact, I prefer companion homes. 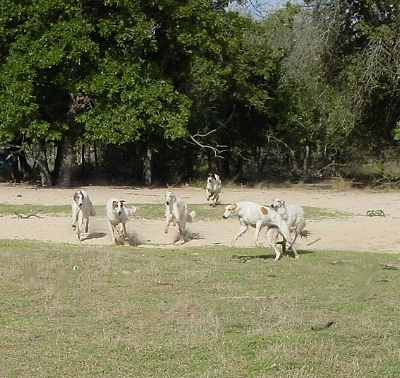 Careful breeding has gone into producing Shefaro Borzoi that are Farm Dogs First! Soundness of mind, body and spirit far outweigh a foo foo show coat. 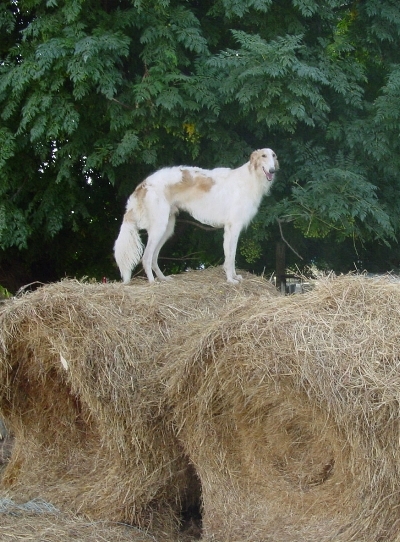 Don't get me wrong, Shefaro Borzoi have a wonderful coat gene and excel in the show ring, but they are all Farm Dogs First! 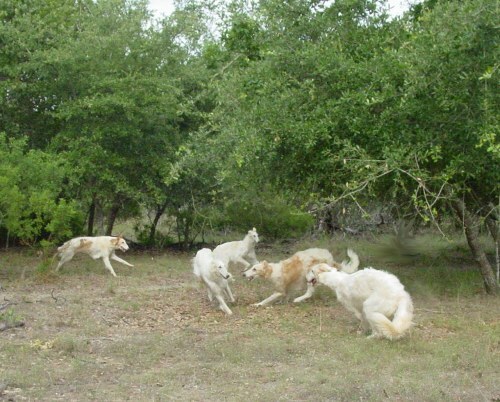 These pictures illustrate what I mean. Enjoy! Multi Ch. Cesar is pictured with his brother, Multi Ch. Alejandro, in 1991. 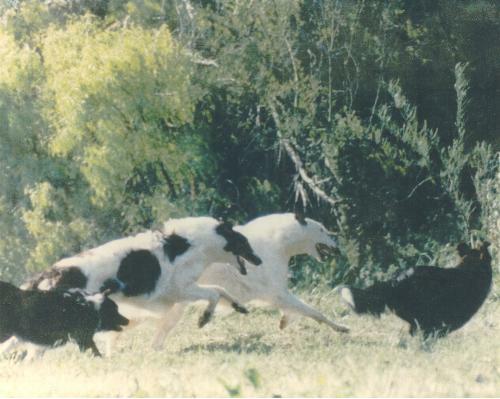 Border Collies Sissy and Anna were heading and heeling the boys. 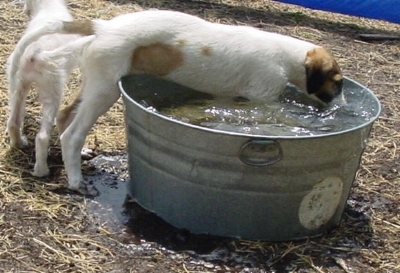 From the time they are pups, they take to water. to a 300 gallon stock tank. 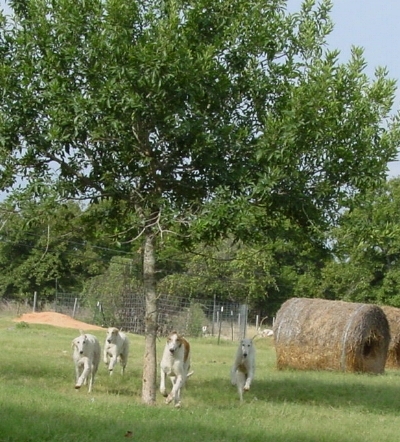 A run in the field follows a dip in the stock tank. Kevin, Tigra/Tajga, Valiente, Tesoro, Roberto at play in Shefaro Park. 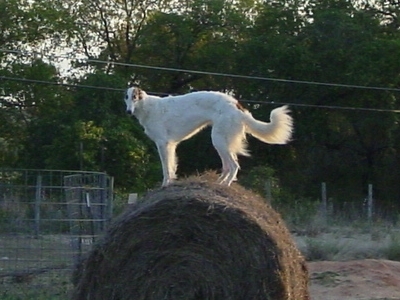 Kevin is as at home atop a round bale as he is in the show ring. 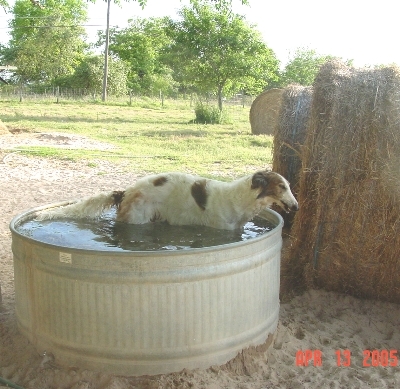 Pictured September 3, 2005 - he's a farm dog first! Cesario, Chicki, Roberto on the ground. Mirabella and Cisne on top. September 6, 2005.